Ozark Trail Folding Chairs Only $6.88 Shipped! 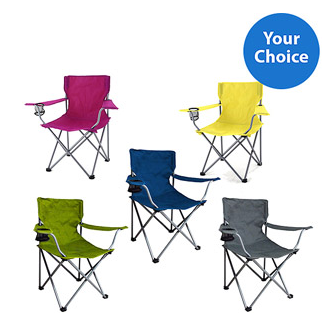 You are here: Home / Great Deals / Ozark Trail Folding Chairs Only $6.88 Shipped! Wow! What a great deal on these chairs! You could grab a few and still spend less than $20! Right now, you can get one of these Ozark Trail Folding Chairs for only $6.88 Shipped! You can select Site-to-Store pick up (if available at your store, or spend over $50) to get the FREE shipping!